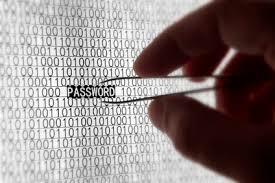 Cyber criminals are quite savvy in their attempts to obtain private information and use it in malicious ways. So how would you stay protected from common attacks known as “phishing” or “spoofing”. What should make you suspicious? You receive an email with a message that instructs you to supply your account information, including your password. The instruction may ask you to reply by email or to click on a link in the message and supply the information via the web. This is never a legitimate request. The message may have a “From:” line that sounds legitimate, but the message itself is vague. It may refer to a “database crash” or “a problem” or even simply “maintenance.” None of these generic issues require your account information. A legitimate message will be very specific, and will never ask for your password. The message may contain some kind of threat for not supplying the information, such as having your account closed. Phishing messages are often, but not always, poorly written, with spelling and grammatical errors. Legitimate messages aren’t always perfect, but with careful reading, many scam messages become obvious. What should you do if you encounter a phishing message? Flag the message as spam in your email client, if supported. Do not reply and do not click on any link that may appear in the email message. You can leave a column below.